Duckhorn Wine Company established Paraduxx in 1994 to give its winemakers the freedom to explore wine styles aside from Duckhorn Vineyards’ focus on Bordeaux varietals. Since then, Paraduxx has earned acclaim as the only Napa Valley winery devoted solely to the art of the blend. Artfully crafted to appeal to the modern palate, the blends of the Paraduxx portfolio are bold, expressive, and food-friendly. In its first year, Paraduxx sourced four tonnes of Zinfandel from the 100-year-old vines of Napa’s Korte Vineyard. This Zinfandel was blended with Duckhorn Vineyards’ own Estate Cabernet Sauvignon, along with smaller amounts of Merlot and Petite Sirah to create the first Paraduxx vintage. Opened to the public in the fall of 2005, the Paraduxx winemaking facility is on the Silverado Trail in the Yountville appellation of Napa Valley. The property includes a purpose-built blend-focused winery and barrel hall. The dramatic centerpiece is a unique 10-sided fermentation facility influenced by Napa’s historic farmstead enclaves. 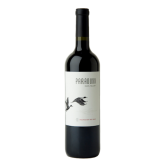 Paraduxx continues to combine the grandeur of Cabernet Sauvignon with the robust flavours of California’s native Zinfandel to produce wines with decidedly Californian personality. Across the portfolio, every blend features at least one non-Bordeaux varietal. Stylistically, winemaker Don LaBorde strives to create wines that capture the essence of their Napa Valley terroir – wines that are ripe, robust, and compelling, but also balanced, with the depth, complexity and acidity to complement modern cuisine.